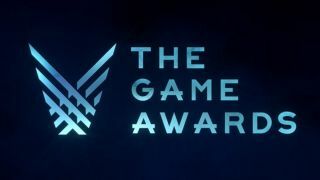 That’s The Game Awards over for another year. It was a roller coaster. SonicFox made us cry; Reggie Fils-Aimé, Phil Spencer, and that guy from PlayStation were in the same room at the same time (woah! ); and some games won awards. There were also a few game announcements, which is what you’re really here for. Scavengers splices together a survival game with a competitive shooter and a co-op exploration romp, leaving a chilly hybrid where you’ll be chased by blizzards, bears and other players. You can team up with other players to survive the harsh winter wasteland, or you can murder for more immediate rewards. Check out first hands-on with Scavengers. After a few years of lofty CRPGs, Obsidian’s heading to space for what looks like a wacky, kitschy adventure. Tim Cain and Leonard Boyarsky are co-designing The Outer Worlds, which might explain why the trailer is evocative of the original Fallouts in personality, if considerably more upbeat. But, like the Bethesda-era Fallouts, this one’s going to be first-person. Anthem has a story, and to remind you, BioWare’s put together a trailer. The Anthem is bad, I guess, and it’s breaking all the lovely walls people have been building (rude! ), so some fella is trying to take control of it, but maybe he’s bad too! Yeah, it’s probably Dragon Age. It’s just a teaser, lamentably, with a dragon and a nod to Inquisition’s enigmatic egg-head, Solas. And that’s all you get. After building a universe in No Man’s Sky, Hello Games’ new project, The Last Campfire, is a bite-sized ‘Hello Games Short’ made by two employees. It’s an adventure game about a lost ‘Ember’ trying to find its way home. Sean Murray, who is helping out here and there, told us that it was influenced by the likes of Journey, The Witness and Brothers: A Tale of Two Sons. Atlas takes Studio Wildcard’s other game, Ark: Survival Evolved, and mashes it together with EVE Online. It’s a nautical MMO set on the high seas. Expect thousands of players in one server, islands that you can govern. Check out our Atlas preview. It’s coming to Early Access on December 13. Pathless, like Giant Squid’s previous game, Abzu, is blooming gorgeous. It’s also an adventure game where you’re friends with an eagle. Together you’ll hunt spirits, solve puzzles and fight, presumably with a bow. It’s due out next year on the Epic Games Store. Rage 2 is due out on May 14, we learned in its flashy trailer. And, in case you forgot, this is a very different Rage. A Rage that’s loud and brash like a drunk punk at an amusement park. With a rocket launcher. It looks like all sorts of fun. There’s some crossover between this and Far Cry New Dawn, obviously, but Rage 2 just seems a bit madder. I approve. Mysteries of the psyche! Platforming! Bacon! Psychonauts 2's first official trailer is out-there but also surprisingly full of details, spilling the game’s plot and showing off plenty of weird places and equally weird people. And there’s a hint, of course, of the game’s Big Bad. It’s due out in 2019. Dauntless, the multiplayer monster-slayer, has been in beta for a wee while now, but Phoenix Labs announced that it was headed to consoles with an eye towards cross-play between PC, PS4, Xbox, Switch and mobile. It’s also launching on the Epic Games Store. Mortal Kombat 11 comes out in April, apparently, so there’s no excuse for a reveal that contains no footage from the game, a cinematic fight between two characters we’ve seen before and… oh wait, Shao Kahn is back? But he’s only available if you pre-order? Sort yourself out, Mortal Kombat. Hades is a hack-and-slash dungeon romp from the creators of Bastion, Supergiant Games. Like its predecessors, it looks like it has a killer cartoon style and a killer soundtrack. And just as it was revealed, it appeared on the Epic Games Store. It’s in Early Access on the new platform right now. Poor, tortured Stanley returns in The Stanley Parable: Ultra Deluxe. It’s not a sequel, I’m afraid, but rather a console port with additional stuff. We’re getting that fancy version on PC, too, though no word on whether it will be a free update or something else. It’s amazing, though, and I’d happily play (and pay for) it again. Journey to the Savage Planet comes from a new studio, Typhoon Studios, founded last year by Far Cry 4’s director, and gosh don’t I wish I had more to tell you about the game, but unfortunately all we’ve got is another teaser trailer. It’s on another planet and we’ll probably be doing some exploring. I’ll cut Among Trees some slack for the uninformative teaser because damn is it pretty. It’s a sandbox survival game, which we probably don’t need more of, but OK we can have one more if it looks like this. I will happily walk around that forest trying to manage my hunger. It’s coming to Steam Early Access in 2019. PUBG’s new map, Vikendi, was unveiled last night and it’s already available on test servers. It’s a snowy island with a dinosaur park, a cosmodrome and everyone can speed around on snowmobiles. I also chatted with PUBG’s art director about the new map. Speaking of battle royales, Fortnite, of course, made an appearance. The Block is a concrete slab in the middle of Fortnite where player creations from the new creative mode will be displayed for players to admire, like an art installation that’s also a murder arena. Ashen is a post-apocalyptic open-world affair with a weird co-op twist: every player takes over an NPC when they appear in other players’ worlds. It’s out now via the Epic Games Store, so take a look at our Ashen impressions before you take the plunge. Journey’s PlayStation exclusivity has ended with its arrival, surprisingly, on the Epic Games Store. You already know about Journey, surely—there’s a big desert, it’s gorgeous, other players can subtly help you out as you encounter them in the magical expanse. It’s lovely. While it’s mostly a single-player game, DMC5 will have some multiplayer, Capcom revealed. The cameo system lets Nero, Dante and V show up in each other’s games. Sometimes you’ll see them in the background, sometimes they’ll be fighting alongside you. It sounds a bit strange! Ancestors: Humankind Odyssey is an open-world survival game that expands as our ancestors evolve, starting 10 million years ago when getting eaten by bigger animals was our main concern. You'll be able to create a tribe and then survive together, passing down skills and knowledge to the next generation.